It’s a sad fact that today’s average B2B sales person is still far more comfortable talking about their products than they are discussing business issues. However the average B2B buyer regards a sales person’s relevant business knowledge as being far more valuable than their ability to regurgitate product features, functions and benefits. This terrible mismatch has profound consequences. It should be no surprise that according to SBI, on average 87% of the revenues in complex B2B sales environments are being generated by just 13% of the sales population. Needless to say, the gap between the best and the rest is far narrower in best-in-class sales organisations. What sets these top performing organisations apart? There’s abundant evidence to suggest that one of the most significant differences lies in their ability to systematically create unique value to their customers through the disciplined application of value-based selling techniques across their entire sales and marketing organisation. And the results can be seen in top line revenue growth that far exceeds market averages. 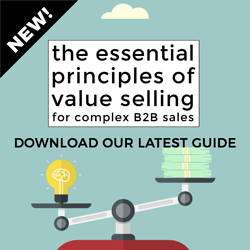 So what does value-based selling entail? It’s not - as some early definitions suggested - just about maximising the value of your solution to the customer. In fact focusing on your value too early in the development of a sales opportunity can actually compromise your chances of success. Because if there is no problem, there can be no solution. Before the value of your solution is in any way relevant to your potential customer, they must first - hopefully with your help - recognise the value of solving the problem the first place, and acknowledge the cost of inaction and the urgent need for change. Otherwise, the most likely outcome is that they will simply decide to stick with the status quo. In fact, that’s exactly what happens in over 60% of apparently well-qualified sales opportunities today: after months - sometimes years - of consideration and the application of large amounts of sales energy and resource, the prospect simply decides to “do nothing” - at least for the moment. 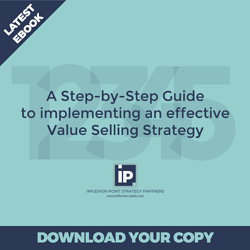 That’s why the first principle of value-based selling is to focus on the value to the prospect of dealing with the issue they have identified. If the prospect cannot articulate the costs and consequences of the problem and the value of solving it, their chances of getting their organisation to agree to invest in any solution is remote - as are your chances of winning. It’s dangerous to assume that your prospect is fully aware of all of these costs and consequences. 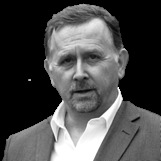 In fact, a key role of the sales person in these early stages must be to help the prospect recognise the full horror of sticking with the status quo. Almost always, this will involve drawing their attention to aspects of the problem they may not have recognised or - even better - introducing high-impact issues that they may not have previously been aware of. But if, despite all your efforts, the value of solving the problem remains unclear or weak, it’s usually best to qualify out the “opportunity” and defer it for future nurturing - even if you appear to have a good solution fit. Marketers sometimes make a great deal of fuss about articulating your company’s “unique value proposition”. But no matter how agonisingly carefully they are crafted, these can only ever be generic statements designed to appeal to your target market as a whole. Value-based selling requires that you get very specific about the value you offer each prospect - in effect you need a personally tailored unique value position. Rather than a broad description of all that you can offer, you’ll get much more traction by selectively identifying and highlighting the small subset of your total capabilities that are most relevant to successfully addressing the issue you have identified. And you need to clearly explain how you deliver unique and relevant value to every member of the decision-making team. If your contacts are serious decision-makers with substantial workloads, they will not appreciate being involved in conversations and meetings that leave them wondering why they just wasted their valuable time. So the third core principle of value-based selling is to seek to establish mutually meaningful value in every customer interaction. This value might be expressed by responding their questions simply, directly and completely rather than leading them around the houses with an ambiguous or deliberately obfuscated response. Or it might be expressed by sharing an insight that causes them to think differently or by revealing a relevant fact they were previously unaware of. Conventional sales processes are all-too-often designed around the needs of the seller, not the buyer. So it’s hardly surprising that things the sales person sees as important are often regarded by the prospect as irrelevant or (even worse) profoundly irritating, while at the same time their interests and concerns are being poorly served by the sales person. That’s why your sales approach - and the key stages in your sales pipeline and CRM system - must be designed around the key stages and milestones in your prospect’s buying decision journey. Your sales activities, sales enablement tools and shareable content must be designed to advance a well-qualified opportunity through their buying decision process. The final principle is simple: if your solution doesn’t offer a distinctively different and higher-value approach solving to the prospect’s identified problem than any of the other options they are considering, you need to either do something about it or qualify out. So there you have it: five key principles of value-based selling. I’ll be expanding on each of these ideas in future articles. In the meantime, I'd welcome your comments: am I on the right track?